Two years ago we worked through the gospel of Mark in a school year. Last year we went through the gospel of John and got some help from friends as well. I also heard a lot of great feedback from clubs who went through the “I Am” statements in John. This year we are going to go through the gospel of Luke… I bet you can’t guess what we might do next year, can you? If you follow YLHelp you know that I am a big advocate of working through the Bible as it presents itself, in fact we do this in club and campaigners. A lot of times this is called an expository, exegetical approach, or a verse-by-verse, whatever you want to call it, it has a lot of advantages as I’ve discussed before. But in all honesty we normally do not work through every story, we simply do not have enough time to do that in our format, so we do end up being selective (topical teaching). But if you do your best to stick to, say, one chapter a week, some interesting things happen. One of those interesting things is that you end up talking about things that might not be a normal club talk, or one that you have heard before at YL. For example, last week in our club Kendra did a talk from Luke 3 and chose the baptism of Jesus. She used the idea of getting a “fresh start” as a way to tie it into what Jesus was doing as a first step of his public ministry (but she said it in less religious jargon than I just used). So now this week I am on to Luke 4. If you look at Luke 4, you will probably not see any stories that you have heard in too many club talks. But I am still going use this chapter. In fact, I am going to use Luke 4:14-21, Jesus’ first sermon and purpose. This is actually an incredibly significant event in the life of Jesus and all that He came to accomplish. Luke is an interesting book for a YL context. It includes a lot of teaching, lots of parables, proportionately less miracle stories, and more “words of Jesus” than other gospels. I am excited to see how Luke’s gospel will work into our proclamation. As a side note, if we are able to get through Luke with some time left, I’m thinking about doing a few stories from Acts as well. 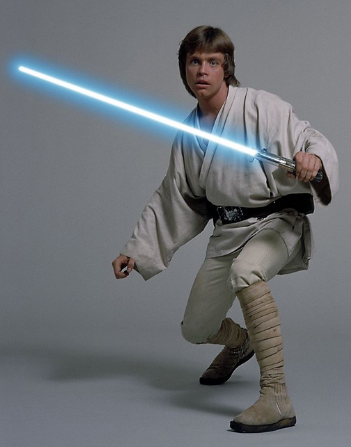 For one reason, Luke and Acts are part one and part two of a literary unit Luke-Acts. For another reason, I think the work of the Holy Spirit and all that Jesus continued to do (Acts 1:1) are important parts of the gospel story. If you are interested, I reviewed the gospel of Luke and highlighted key stories in every chapter of Luke that might work well in club/campaigners. What are your plans in club and campaigners this year?